Why it’s common to think multitasking makes you more productive. How multitasking actually slows you down. Tips to focus on one thing at a time. This week’s episode is all about something that you can easily relate to. It’s extremely common because you probably think it’s a really good thing and strive to do it better. But…it’s not. It’s MULTI-TASKING. More specifically, we’re going to be talking about the myth of multitasking, why multitasking feels efficient but really isn’t and how multitasking may really be a bad thing, for your brain and your health. 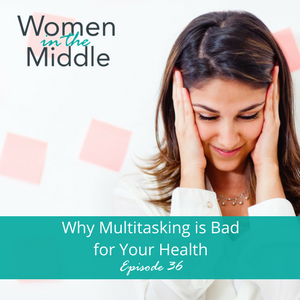 As busy women in the middle, most of us pride ourselves on being efficient and getting a lot done. We think a great way to do that is to carefully plan how we can do MORE than one thing at a time. Many of us actually get excited about how well we THINK we do this. More and more research suggests, however, that this is a big MYTH. In fact, you aren’t being more efficient when you multitask. It’s the opposite. What you’re doing isn’t really multitasking. It’s something called switchtasking because you have to stop and start more than you think you do. Switchtasking slows you down. The ability to focus deeply is becoming a skill that fewer and fewer people have. At least we can think back to a time when we didn’t used to be so click happy, but kids today grew up in this distracted culture and have a different experience. You also have thoughts related to doing one thing at a time and this is pretty interesting when it comes to how you go about your daily activities and decide whether to multitask or not. There are options for working on this and making a change that supports deeper and more regular focus. 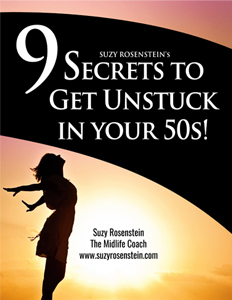 Lots of strategies and tips are shared as well. Don’t miss this episode!